For waste removal services in Exeter, East Devon, contact Shift-It | For waste removal services in Exeter that you can rely on contact Shift-It based in East Devon on 07944 580 775 today! Shift-It ltd have a wealth of experience in the business of waste disposal, we offer construction waste, garden waste and household waste removal services, as well as house clearance and garage clearance work at affordable prices. At Shift-It ltd, we are committed to recycling as much of your domestic and commercial waste as possible. We can remove and dispose of all waste safely and efficiently. Browse through our gallery for some images of the work we have undertook for customers across Exeter and East Devon. For an accurate quotation, please complete the short email and include a picture of the waste. Take a look at our gallery for examples of our work. 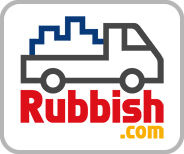 Talk to our friendly staff for a free estimate on waste recycling or to discuss your needs.